This is by far my favorite topic to cover. Something about demoing players irons really does something to me. The sleek, compact designs are 10x more attractive than game improvement irons in my opinion. 2019 is sure to be a great year for players irons. You know why? Because these companies like making money… duh! They wouldn’t just NOT release players irons this year. Sheeeesh. What a silly question. Just as a short summary, let’s talk about the benefits of players irons. better distance control: players irons are focused more on control, less on forgiveness. As long as you hit the center of the club face, you expect to be rewarded with consistent distance control. You won’t typically experience “fliers” unexpectedly like you might with other irons meant for mid-high handicappers. more compact design: players irons have less/no perimeter weighting, resulting in a much smaller club heads. Most golfers would agree they find this more appealing at address, but some find it daunting (as they know they have a smaller margin for error). easier to work the ball: players irons are much easier to work the ball (hitting fades and draws). Other irons are more designed to fly as far and straight as possible. Better players often like to work the ball though. They might start the ball at the center of the green and work it towards the flag, for example. Alright, you probably knew that stuff already. I’m just trying to reach 1000 words on this article, so that helped a good bit. Thanks for staying with me! 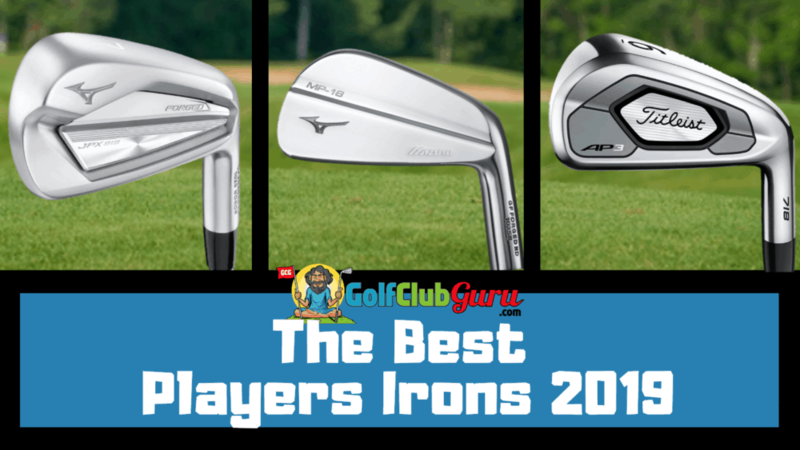 Let’s get to the good stuff: the best players irons of 2019! I’m going to break this article up into two different categories (some perimeter weighting or pure blade irons). Some of these clubs are still from the prior year, but I’ll update the new ones as they come in! Please be aware that all links/pictures will send you to eBay (where I will make some income if you buy anything). Thank you! Where to even begin. The Mizuno JPX 919 Forged irons are incredible. Great look, great feel, great sound at impact. Simple incredible job by Mizuno, which shouldn’t surprise anyone. 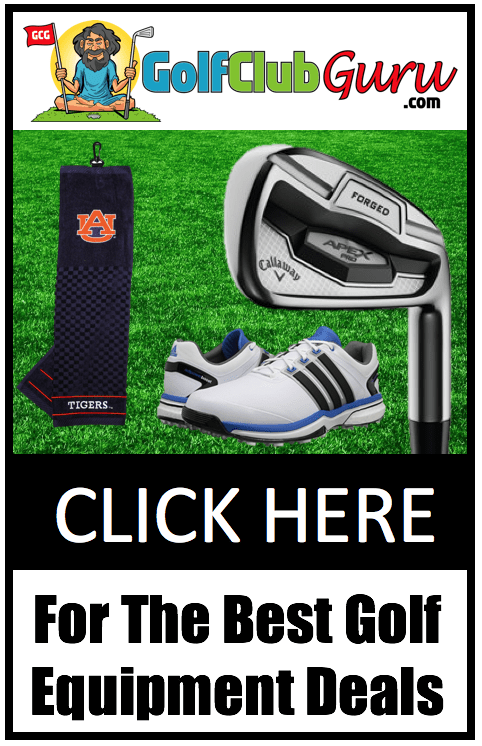 If you are a low handicap golfer (with a good bit of money to spend), this is a great option. These are definitely considered a players iron, but they are way more forgiving than the name would suggest. The topline is a tad bit thicker than most toplines, but the feel & sound at impact make you think it’s the most compact club out there. I’m still gaming my Mizuno JPX 825 Pro Forged irons (an earlier model), and I am still very pleased. If I were shopping around for new irons, I would probably start here with the Mizuno JPX 919 Forged irons. That is, if I had the money. I would probably buy them used to be honest. These clubs are durable as hell, even though they are forged, so I wouldn’t be worried about the life of them. There has always been a pretty large difference between the Titleist AP1 and AP2 irons. I’ve always thought a nice in-between would be needed. I really like the way those chose to blend the two in the Titleist AP3 irons, though. They kept the size of the AP2 (small, compact) and implemented the forgiveness and high launch angles of the AP1. Easier said than done, that’s for sure. When I tried out the AP3 irons, I was taken away by how pretty they were at address. Much smaller toplines than I expected. The higher launch angles was very apparent, just after a couple of shots. I would say my long irons are pretty penetrating on average. I was hitting some long irons that felt like they stayed in the air forever, though! Definitely cool to see. If you hit the ball high already, you might want to choose another set of irons (or simply get fit by a professional if you can afford it). I’ve always been a fan of Callaway X Forged irons, even the earlier models. My friend first bought his X Forged player irons about 5 years back, and I still remember the first few shots that I hit with them. The thing that stood out the most was just how small the clubface was toe to heel. I felt like there was hardly any margin for error at all. 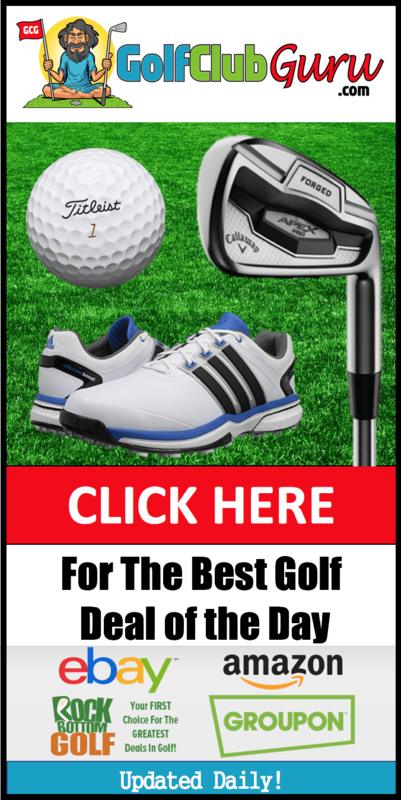 I was honestly thinking about buying a set to practice with, because I knew I could improve my ballstriking and start consistently hitting the ball on the dead center of the face after a few months of practicing with the set. When I hit the ball square, the feeling was unreal. Like you were hardly hitting the ball at all – the ball was just getting in the way of the golf swing. Jeez, what a beaut these Mizuno MP 18 MB irons are. I know I say that about a lot of golf clubs, but these are just unreal. Exactly what a blade should be. I’ll be honest: the percentage of golfers that are good enough to play a blade is small… I’m thinking like half of one percent. If you are in that small group, and can afford a nice set of clubs like this, I envy you. I got to hit these at a PGA Tour Superstore, and I wish I could have stayed all day. Although I was hitting off of a mat, the feeling of a pure strike was still incredible. I definitely hit some really bad shots though. So, obviously, only decide on blades like these if you are a crazy good ballstriker. Or, if you just love the look and feel of blades. Golf is about having fun, right?! I’m beginning to realize how repetitive this is going to be. Listen: blades are blades. They all perform nearly the same. There is no technology or innovation that can be involved, otherwise they would simply be perimeter weighted clubs and not blades. If you want the latest Titleist blades (ignoring the T-MB irons), these Titleist 718 MB irons are my favorite. I also game the Titleist 690MB blades at times, and I’m assuming they are similar to that. It’s super easy to work at the ball (even when you didn’t mean to!). Did I miss a set of players irons that you think are some of the best of 2019? Let me know in the comments! there. I discovered your site by the use of Google whilst searching for a similar matter, your site came up. It seems to be great. I have bookmarked it in my google bookmarks to come back then. Hiya, I’m really glad I’ve found this info. Nowadays bloggers publish just about gossip and net stuff and this is actually frustrating. A good web site with exciting content, that is what I need. Thank you for making this website, and I’ll be visiting again. Do you do newsletters by email?